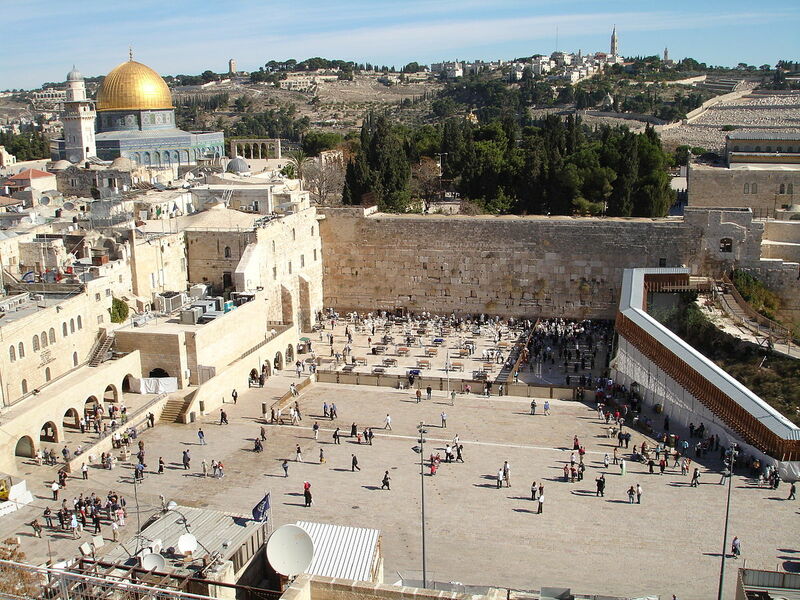 The Western Wall or the Wailing Wall is an ancient limestone wall in the Old City of Jerusalem. It is a relatively small segment of a far longer ancient retaining wall, known in its entirety as the Western Wall. The Wall was part of the western wall of the Temple mount’s exterior walls. It serves as a symbol of the destruction of the Jewish temple. 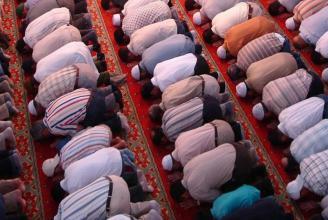 For centuries, Jews come there to pray and cry in the morning. Why it is called the Wailing Wall? The name is a translation of the Arabic term el-Mabka. This means a “place for weeping”, and it is the traditional Arab moniker for the wall. Some people use the term “Wall of Tears”. The description is based on Jewish practice of mourning the destruction of the Temple and praying for its rebuilding at the site of the Western Wall. Do Jews use the term Wailing Wall? Jews are actually offended when people refer to the wall as the Wailing Wall. They call it simply the Western Wall or Ha Kotel, the latter translating to “The Wall”. 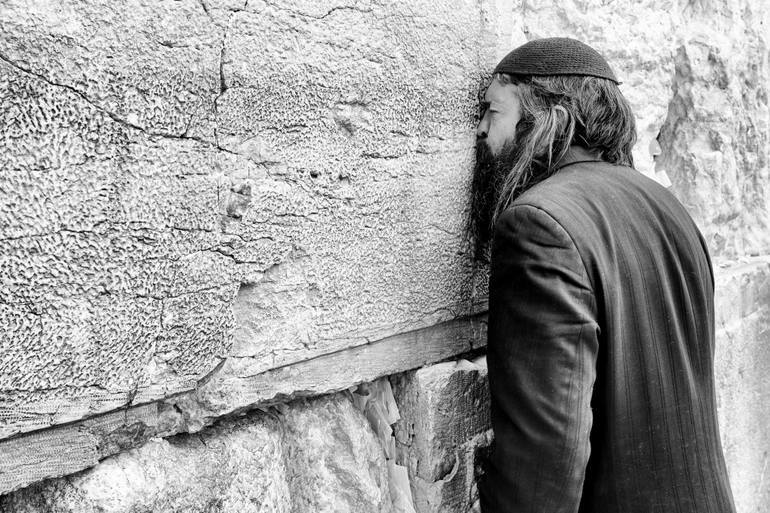 Wailing Wall is actually a reference to the sound of prayer Jews make when they are praying. The name Wailing Wall was first coined by British in reference to the sound. The name is considered to be an ignorant description of the sound of Jewish prayer when observed by non-Jews. What is the significance of the Wall? The Wall was centerpiece of many critical events in Jewish history. For starters, the belief is the at the spot Abraham demonstrated his devotion to God through willingness to sacrifice his beloved son Isaac. The Wall is also the place where Isaac went to pray before meeting Rebecca, and where Jacob dreamed of the famous ladder reaching the Heavens. The Wall is also the place where the Holy Temple would eventually be built. Nowadays, Temple Mount still stands in this location. Thanks to the Wall and the Temple, Jerusalem has become and maintained a pivotal importance for Jewish people. Jerusalem is mentioned 349 times in the Tanakh, which is the Jewish Bible. Despite the destruction of the First and Second Holy Temple, Jews believe that the presence of God has never left the place. For thousands of years, Jews have gathered at the wall to pray and connect to the holiness at the site. And one doesn’t have to be Jewish to experience the spirituality of the Wall. Visiting the Wall is a unique experience for people of every background. The Wall was initially built by King Herod in the Hebrew year 3741, which is 20 BCE. He built the wall as the supporting western wall of the Second Holy Temple. He was an Israel’s monarch, but he was also one of the world’s greatest builders. Herod also renovated the temple, and made Jerusalem the capital city. According to Sages, one who has not seen the Temple and the Wall has never seen a beautiful building in his life. The Western Wall is composed of three different types of Jerusalem stones. Each type of stones come from a different time period. Another interesting fact is that half of the stones are underground and invisible. The first seven layers above ground are enormous stones, weighing between two and seven tons. This is the section constructed in the Second Temple period during Herod’s reign. The next section consists of significantly smaller rocks which date back to the Muslim period in the eight century. The top layers consist of small stones that date back to the thirteenth and sixteenth centuries. 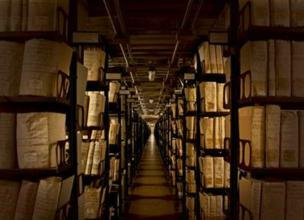 What is in Vatican Secret Archives?